India has been a consumption-driven economy for the last many decades and will continue to be so over the coming two decades. 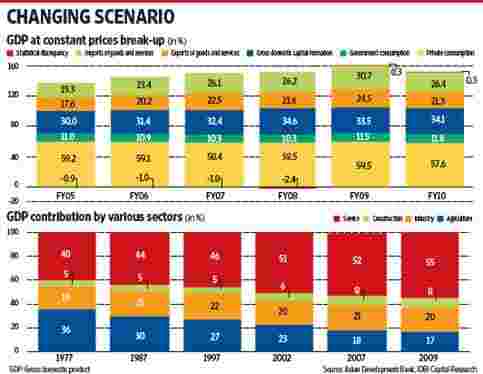 As per McKinsey Global Institute (MGI), spending in India is expected to increase about 2.5 times by 2025. 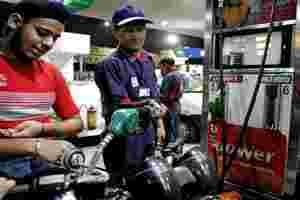 The middle class population in India is going to increase by about 12 times during 2005-2025, fuelling consumption demand. Private consumption has been the driver of Indian GDP for the past many decades. It has nearly doubled over 2003-09 and is likely to further increase by about 2.5 times by 2030. The increase in private consumption is growing primarily due to rising income. As per the United Nations, urbanization in India is expected to increase from about 30% in 2010 to about 40% by 2030 and the number of people living in urban areas will increase by about 62% to 59 billion. Also, the middle class population in India will increase by about 12 times to 580 million and will constitute 41% of the population by 2025 as against about 5% in 2005, according to data sourced from MGI. The per capita income of India is expected to increase about 18 times by 2039, according to Emerging Market Forum. Disposable income for households is expected to increase by about three times by 2025, according to MGI. The appliance industry will be a significant beneficiary of rising income, growing middle class and increasing urbanization in the country. Also, under-penetration and growing perception of considering appliances as necessity will result in high demand. The appliance market is expected to witness a compounded annual growth rate of 11.4% during 2005-2025 in urban India, and companies which are market leaders in various home appliance categories will see high growth rates over the next two decades.